Many houses that contained asbestos-cement materials were damaged or destroyed in the catastrophic fires that swept through Knysna and Bitou in June 2017. When asbestos-cement building materials are exposed to the intense heat of a fire, it shatters into small fragments that may release microscopic asbestos fibres into the air. 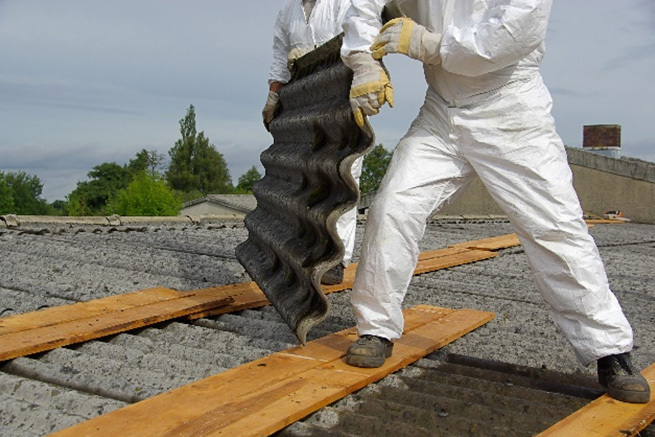 Prolonged exposure to high concentrations of air-borne asbestos fibres may be a health hazard. In consideration of the quantity of asbestos-cement materials involved in the fire, Eden District Municipality appointed AirCHECK, an independent Approved Asbestos Inspection Authority, to evaluate the environmental asbestos fibre levels in the air in Knysna. Samples were collected during August 2017 at Heuwelkruin, Thesen Island and Brenton-on-Sea in Knysna. In the absence of a definitive standard for environmental asbestos fibres in the air, a reference sample was collected in Storms River, approximately 80 km to the east of Knysna. Guidelines of environmental asbestos fibres in the environment published by the World Health Organisation (WHO) were also used as a reference. The results of the environmental asbestos sampling show that ambient asbestos fibre levels at Heuwelkruin and Brenton-on-Sea compared well with the reference level at Storms River and were within the WHO expected environmental asbestos fibre levels expected for urban areas. Although the fibre level at Thesen Island was marginally above both the Storms River and WHO reference levels, there is no cause for alarm since more data is required to establish the significance of the available results. Property owners in Knysna, nevertheless, must ensure that asbestos fibre levels are kept to a minimum. For this reason, it is imperative that asbestos-contaminated building rubble is handled and disposed of only by the Department of Labour’s registered asbestos contractors. Knysna Municipality is requesting property owners to safely dispose of their asbestos-contaminated rubble. In failing to do so, the municipality may levy a penalty on property owners, in accordance with its Integrated Waste Management by-law. Eden District Municipality will conduct further air quality samples on a monthly basis, to monitor any potential increase in the environmental fibre levels that may be ascribed to the large-scale involvement of asbestos-cement building materials in the fire. The public will be kept informed of the results of these tests.